Tupelo Community Theatre’s 13th annual Haunted Theatre will be Oct 12-13, 18-20 and 25-27 from 7 p.m. to 11 p.m., with Thursdays ending at 10 p.m. 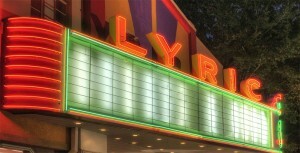 The theme for this year Haunted Theatre is Insanity and will utilize most of the historic and haunted Lyric Theatre. Tickets are $15 and may be purchased at the door. Students with ID may purchase $10 tickets on the two Thursday evenings. The Haunted Theatre is not recommended for children under the age of 10. For more information call the TCT office at 662-844-1935 or visit www.tct.ms.